View Cart “TP3107E EMBOSSING Easy Cross Hatch Straight (Fine 4 holes x 4 holes)” has been added to your cart. 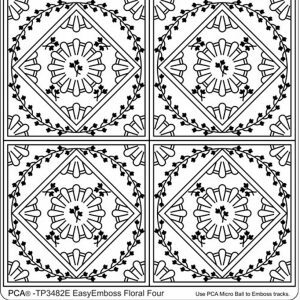 PCA® – TP7144EC EasyCut Pillow Box – Floral 1. A simple but delicate gift box. Ideal for small items or sweets etc. We have four in this range with designs already engraved to be used. 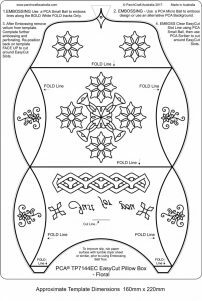 However, you may simply emboss the main outline and fold lines, an then place the blank pillow box over any of the PCA background templates to create a new design. After all embossing has been finished, further embellish project by adding your own perforations, embossing and colouring. Watch PCA Video #65 on YouTube to see how pillow box is assembled. Very simple. 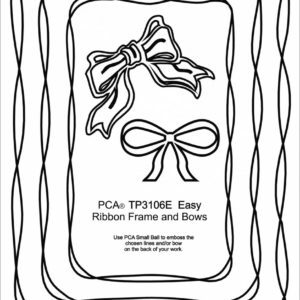 Emboss outline and main fold lines using PCA-E3002 Small Ball Tool. 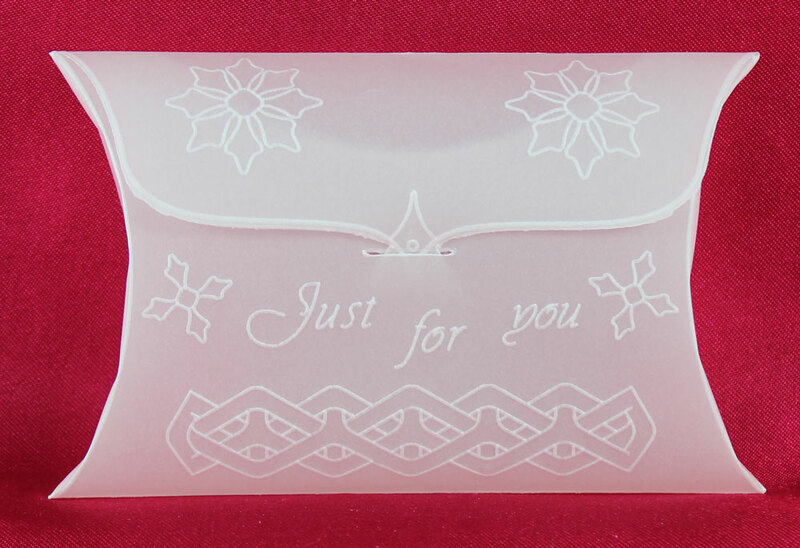 Then complete all other embossing using your PCA-E3012 Micro Ball tool. Very easy with excellent results. 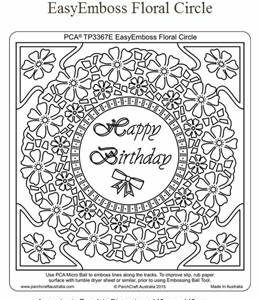 As always we suggest that you rub the parchment with a piece of tumble dryer sheet or similar to improve slip when embossing. Place parchment on top of template. 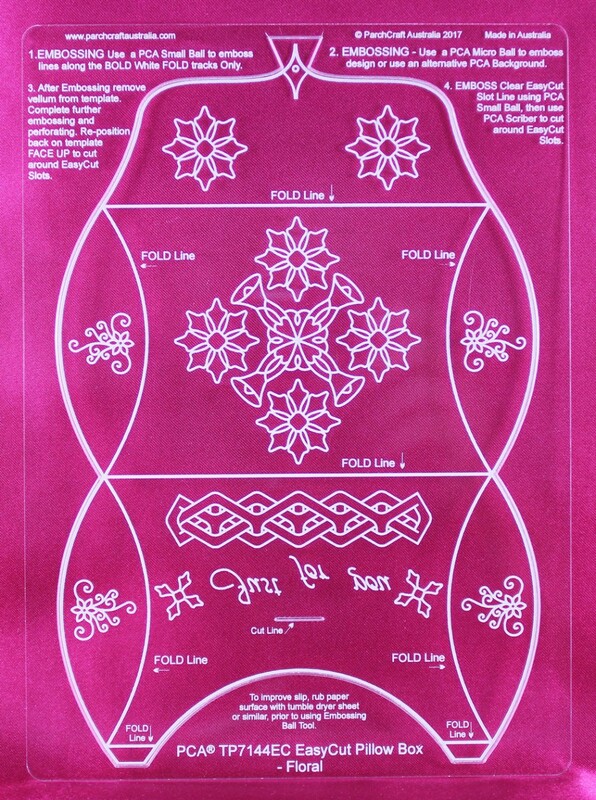 Hold parchment in position with low tack tape.